A new spot to score salad and pizza has made its debut in the neighborhood. Called Your Pie Brier Creek, the fresh arrival is located at 4233 Corners Pkwy. 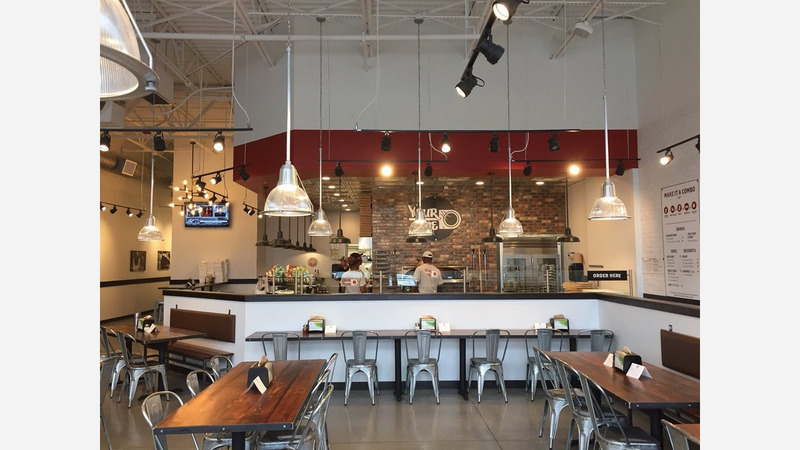 This is the first North Carolina locale for the fast-casual eatery, which specializes in customizable pizzas, salads, panini sandwiches and more. The pizzeria has other outposts throughout the country as well. The menu features a variety of signature pizzas like the "Nat" with basil pesto, mozzarella, feta, sun-dried tomatoes, spinach and chicken and the "Lineage" with pepperoni, Italian sausage, red onions and mushrooms. For panini, there's "Nonno's Italian" with ham, salami, pepperoni and veggies and a pesto turkey with provolone and spinach. And for salads, expect to see offerings like a Caesar, caprese or Greek salad. All of the pies, sandwiches and salads can be customized as well. Your Pie Brier Creek has already attracted fans thus far, with a 4.5-star rating out of two reviews on Yelp. Raymond H., who was among the first Yelpers to review the new spot on February 19th, said: "This is a great place. Food is good. Good choices: pizza, panini and salads. More important: gelato for the finale to a good meal. Staff was quick and friendly. Plenty of parking." Yelper Jennifer B. added: "I was so excited to try this new restaurant in Brier Creek. Pizza, salad or panini." Interested? Stop by to welcome the new business to the neighborhood. Your Pie Brier Creek is open daily from 11am-9pm.